More and more are the applications finding use in thermal imaging technology. The ability to image 24/7 in all weather conditions, no matter the lightning, makes them a tool adaptable to almost every need. We’re used to seeing thermal cameras and systems being used mainly for security and defense applications, but the truth is that thermal imaging can come in handy everywhere conventional devices are unable to provide visual images. So what does the future hold? In this blog article we’ll be discussing the adaptation of thermal cameras to new and existing technologies. Some of which look at getting answers to long-existing riddles, and some of which look at aiding in technological advancements. A current favorite that has taken the world by storm are drones. What can possibly be cooler than drones? Drones that discover dinosaurs, of course! In a recent collaboration between the Institute of Paleontology and Geology of Mongolian Academy of Sciences (IPG) and The Explorers Club Hong Kong Chapter, satellites and drones carrying thermal cameras achieved the advanced mapping of the Gobi Desert, which led to the discovery of three potential new dinosaur species and more than 250 new fossil locations. The thermal infrared radiation emitted from the soil of the sites in question, enable paleontologists to obtain field data and more accurate images. This is the first time thermal imaging is used in combination with satellite to assist with paleontology and represents an exciting new method of mapping with a promise of a more effective way to discover fossils. 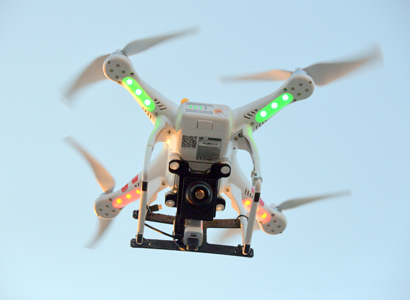 Drone-powered thermal imaging cameras have also recently been introduced for agricultural purposes. Keeping soil water away from drained farmland is critical for increasing crop yields. Many of the old drainage systems are scarce in pipes though and require the installation of additional drain lines. The job demands accurate mapping of the existing drainage pipes in order to implement the new installations or carry on repairs. Thermal imagery used in agriculture can show the differences in soil moisture directly over the drain lines, allowing the adequate delineation of drain pipes in the area. Accurate mapping also assists in the evaluation of the overall environmental risk of nitrate and phosphate release into the environment from farm fields. The benefits are consequently both economic and environmental. An application that is no stranger to thermal imaging is defense, and well known is the fact that many technological advancements are first tried out by the army. 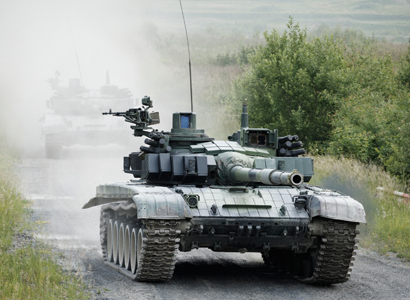 One such sample are local situational awareness solutions for armored vehicles and tanks. The lack of visual range makes them susceptible to improvised explosive device (IED) attacks and ambushes. So the army and other military law enforcement customers are always looking for solutions that can provide them with active, 360° SA surveillance and explosive hazard detection capabilities that can deliver an all-inclusive ISR (Intelligent, surveillance, and reconnaissance) answer. Available solutions consist of multi-sensor surveillance systems made up of sub-cameras and thermal imaging cameras for route clearance and reconnaissance missions. 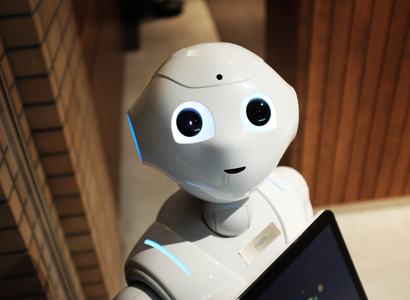 A glimpse into the future provides a scenery filled with automated machines and artificial intelligence, but surveillance robots are already a reality. Here too thermal technology plays a big role. Programmed to scan an area for suspicious activity and hazards, robots equipped with thermal imaging technology can additionally also detect objects at night or in zero light, as well as hotspots that can potentially turn into fires. In places with heavy transit, having a displaceable surveillance system can provide wider, better public safety replacing the need of several fixed cameras. While surveillance robots will not be replacing human security guards any time soon, those that include thermal imaging could most definitely become the ultimate 24/7 surveillance guard. The effectiveness of thermal technology to provide images in minimal conditions, make it a versatile tool that allows it to be used in more ways that were previously thought so. With new technological advancements making way all the time, there’s an innumerable list of applications thermal cameras can be adapted to.